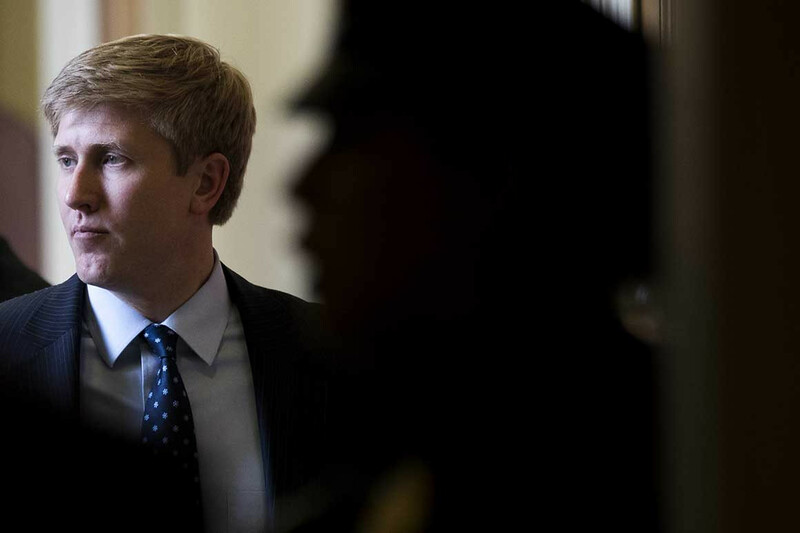 For the past month, Nick Ayers has been a White House chief of staff in waiting. President Donald Trump informally offered Ayers a job as his top aide during a private huddle at an election night party in the White House residence last month. Several White House staff and advisers were within earshot and overheard the conversation, which included First Lady Melania Trump, and its details were described to POLITICO by two people briefed on them. It seemed like a done deal, except for one complication: The position wasn’t open yet. John Kelly was still hanging on to the job, however tenuously. White House officials now believe that will finally change, saying they expect Kelly to exit any day now. That would seem to clear the way for Ayers. But the lag time allowed a month-long lobbying campaign both for and against the 36-year-old Ayers, currently Vice President Mike Pence’s top aide. Ayers&apos; detractors — who consider him nakedly ambitious and untrustworthy — have lobbied Trump against following through on the offer. Some top White House aides have even threatened to resign if he does not. As a result, it is unclear whether Trump’s offer still stands, although White House officials say that no clear alternative has emerged. Ayers’ boosters say he would be a perfect antidote to the political challenges of the next two years, including House Democratic investigations and a coming 2020 election campaign. “The problem with Kelly is you just can’t have the least the least political person in Washington holding the most political job in Washington. You need a bona fide Machiavellian killer. That is what the president needs by his side over the next two years,” said a second former White House official in describing Ayers. One White House official said he did not believe the Ayers opposition would sway the president, noting that Trump has a strong desire to install a more politically-minded aide as his chief of staff ahead of the 2020 reelection campaign. In recent days, the internal conversation inside the White House has shifted to the best way to grant Kelly a graceful exit. This comes just five months after Trump and Kelly assured staffers that Kelly would remain in place through the 2020 campaign – a claim that few aides and advisers believed at the time. White House officials are hoping that Kelly will be able to resign instead of being fired by tweet. First Lady Melania Trump has been urging the president not to fire a four-star general but instead allow him to leave on his own terms. Her spokeswoman did not respond to requests for comment. Until then, both White House aides and close allies call Ayers the frontrunner to take his place, even as they stress that no Trump decision is final until the president himself announces it, and that an informal job offer isn’t ironclad. In the meantime, Trump — who likes to beta-test his personnel decisons —has been asking confidants their opinions about Ayers since July. Longtime Trump observers and allies also stress that any incoming chief of staff is unlikely to fundamentally change a gut-driven president who bridles at efforts to control him. Part of Ayers’ ascension inside the West Wing comes from his own savviness, political instincts, and his close relationship with the Trump family, but part comes from the fact that there are few other viable candidates, especially as Trump continues to pursue a major personnel shake-up before the holidays. The former official said Ayers has a number of potential deficiencies, including little knowledge of policy – though that may not matter amid a divided government. Inside the White House, Ayers has built his relationship with the president by frequently attending Trump’s weekly private lunches with the vice president, in which Ayers, Kelly, and Pence typically are the president’s only guests. He also forged his relationship with the Trump children during the hectic 2016 campaign, during which he acted as an outside adviser and consultant before becoming the vice president’s chief-of-staff in July 2017. A few other names have popped up as potential candidates for chief-of-staff including Treasury Secretary Steven Mnuchin who also enjoys a close relationship with the Trump kids. Mnuchin, however, has told friends that he is content running the Treasury Department. The outstanding question is whether any chief-of-staff can effectively work inside the Trump administration, in which the president prefers to always run the show. Published on Fri, 07 Dec 2018 23:25:00 GMT, © All rights reserved by the publisher.